Designed to fully remediate oil, petrol, diesel and hydraulic fluid spill residue from soil and hard rock surfaces. 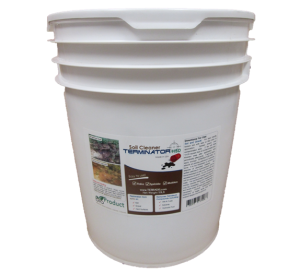 TERMINATOR-HSD Soil Cleaner is used for soil restoration, allowing for the return of vegetative growth in hydrocarbon-contaminated areas currently void of plant life. It is formulated with a proprietary blend of highly concentrated microbes, nutrients, and absorbents. The microbes are designed to rapidly biodegrade hydrocarbon compounds. 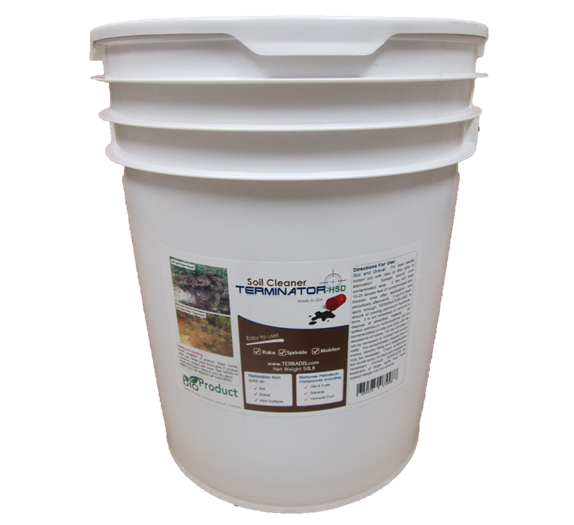 Terminator-HSD soil cleaner is biodegradable, non-toxic and easy to use. Consult your Terradis professional for the proper protocol and dosage recommendations. See Data Sheet and TERMINATOR-HSD Soil Cleaner MSDS for additional information. TERMINATOR-HSD is in a class of its own. It’s the easiest product on the market and is completely safe for the environment. TERMINATOR-HSD’s proprietary blend of bacteria and nutrients stimulate microbial appetite and growth, resulting in accelerated remediation of the spill area. TERMINATOR-HSD is safe, non-toxic and easy to use. The major by-products from the biodegradation process are carbon dioxide (CO2) and water (H2O). There is no need to remove the soil from the affected area. On-site soil cleaning has never been so easy. TERRADIS has pioneered the use of Gold Crew SW in combination with TERMINATOR-HSD Soil Cleaner to quickly restore the soil. 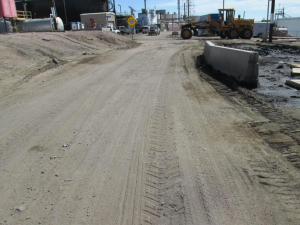 Treating contaminated soil with both SW and TERMINATOR-HSD Soil Cleaner provides the most aggressive and rapid degradation of Petroleum Compounds available today. A biodegradable and environmentally friendly powder containing billions of microbes that consume Petroleum Compounds including oil, petrol, motor oil, crude oil, and hydraulic fluid. These microbes also work to degrade cooking oil, mineral oil, and kitchen fat and grease. It is completely safe for human handling. TERMINATOR-HSD partners with nature to do the cleaning. TERMINATOR-HSD attracts and binds hydrocarbons, holding them in place during biodegradation. 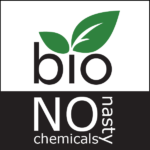 Once absorbed, contaminants will not migrate as they bioremediate. 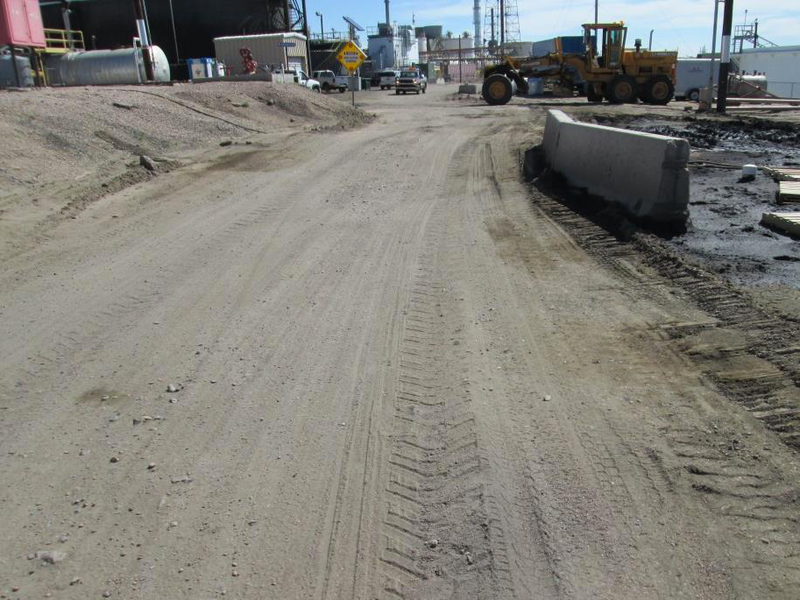 Regular use of TERMINATOR-HSD in industrial yards will aid in stormwater compliance, as spilled contaminates are bioremediated on an on-going basis. Consult a TERRADIS representative for a proper maintenance schedule for your facility. TERMINATOR-HSD + SW COMBINATION USAGE: Contact TERRADIS for proper usage guidelines and dosage schedules. 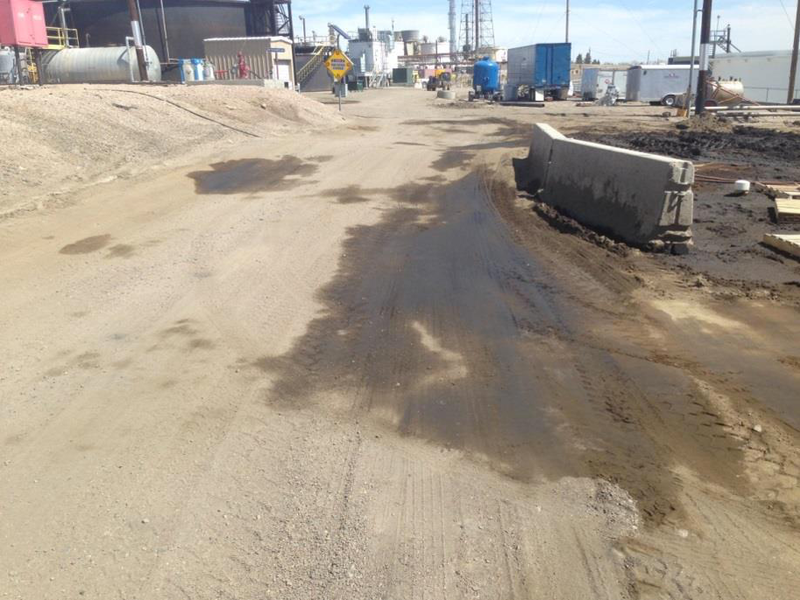 Soil and Gravel: Spread Terminator-HSD evenly over the contaminated area. For best results, loosen the soil with rake or tiller prior to application. If the spill is fresh, apply additional TERMINATOR-HSD to absorb all pooling petroleum hydrocarbons. It is not necessary to remove or dispose of absorbed material. 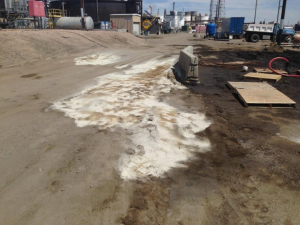 All spilled petroleum hydrocarbons will be bioremediated on-site over time with the assistance of nature. For dry climates, it may be necessary to moisten soil periodically. For contamination deeper than 6 inches, monthly tilling and reapplication may be necessary. Check contamination levels every 4 weeks and reapply as necessary. 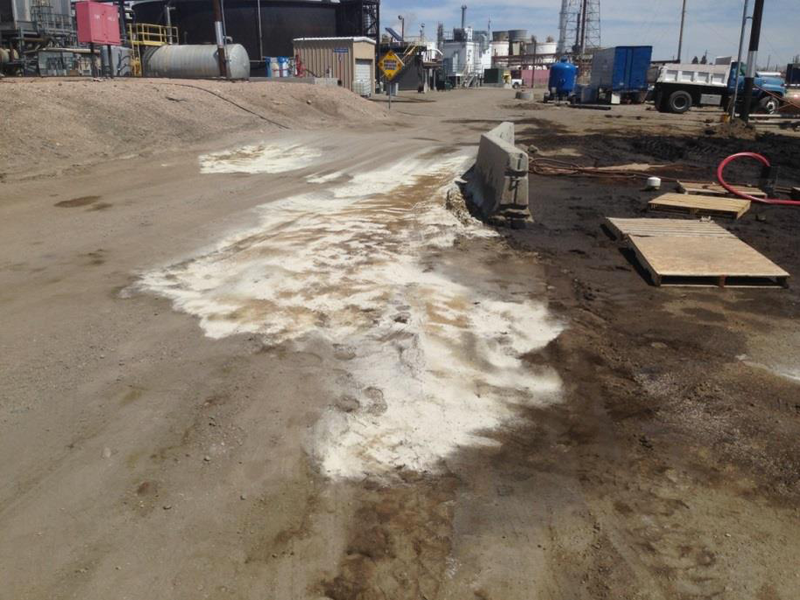 Consult TERRADIS for treatment of larger spills that have soaked into the ground.